Have you heard the news?!? We're bringing the locally grown movement to the streets of Des Moines with the city’s first mobile flower truck! 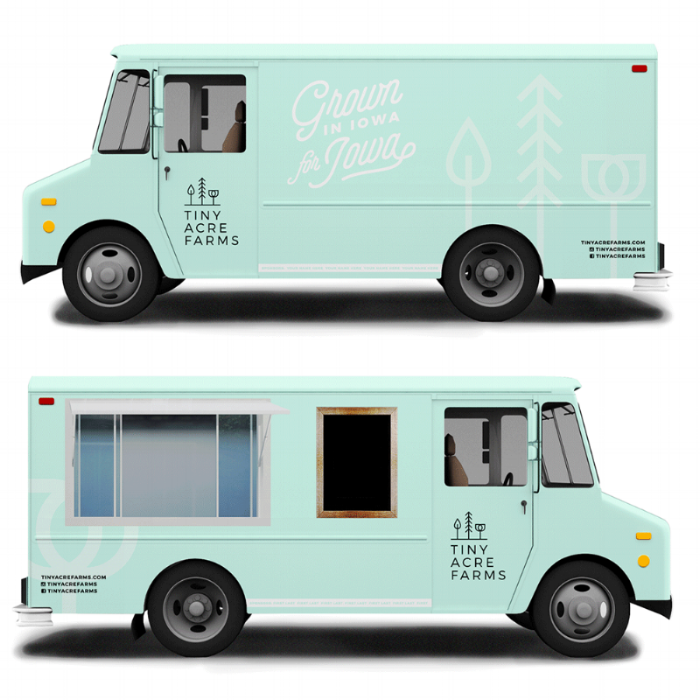 Thanks to your support of our kickstarter campaign, this truck will scoot all across the city throughout the week, just like area food trucks. No more waiting for the Saturday farmers market. We’ll bring our farm fresh bouquets to you! We've already got the truck, a 1972 Ford Grumman Step Van, and the remodel is well underway. We’re remodeling the interior, installing new seats, seat belts and windows, showing some love to that Ford chassis, and painting the exterior with the Tiny Acre look and feel. We're keeping the kickstarter money local by partnering with some amazing businesses in Des Moines to make this project come to life. We can't wait to hit the streets and are shooting to launch the truck this spring/early summer. Who know's maybe we'll even throw a party! Be sure to sign up for our newsletter to get all the updates on the truck. Jump over to our kickstarter page to learn more about the project. Thank YOU backers for making this happen!